Every style of parenting is different but often a reflection of your own experiences as a child. Much like how values and traditions are handed down from one generation onto the next. Believe us when we say that parents are always thinking about what they need from gadgets, toys, playsets and other personal items for their children and what the best fit will be for their family. Unfortunately, no matter how much we try, we always end up thinking of more gadgets that our baby's needs. Don’t worry, we’re here to help you. Not only in recalling your childhood memories, but rather in choosing the best gadget for your baby today. Let our list of the top 10 baby gadgets be your inspiration in choosing which to provide our precious bundle of joy with. For this update we narrowed down our list from 25 products to the best 10 of what's available in the industry. 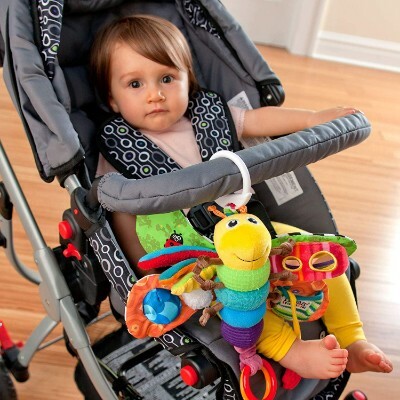 We also went a little bit more in depth about safety of these gadgets for your baby. 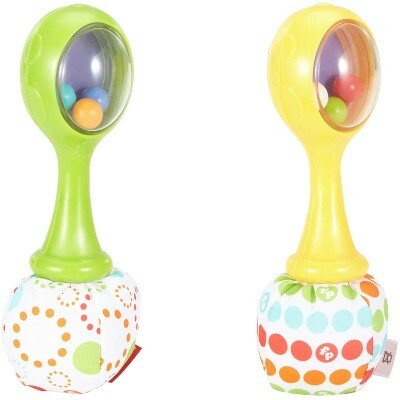 This product is a great way to entertain and stimulate the constant development of your baby. This friendly butterfly is made of plush material and offers several simple games that employ interesting sounds to encourage your baby to play. 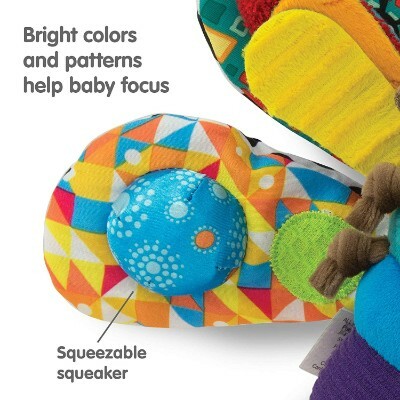 They will improve their hand-eye coordination and make their first plush buddy with this great product from Lamaze. This product is designed not only to entertain your child, but also to train their developing senses. 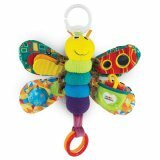 They will love the vibrant and varied colors and rattle games, and you will appreciate the hidden service this toy is providing your baby. It provides interactive role play which helps with the imaginative playtime. The colorful buttons teach kids about colors, numbers and shapes. Sturdy toy that can withstand a baby’s rough play. Pets like parrots like this toy as well. They find it engaging and entertaining. 2 AAA batteries included but they are made for demo mode. Parents need to purchase normal batteries for regular use. 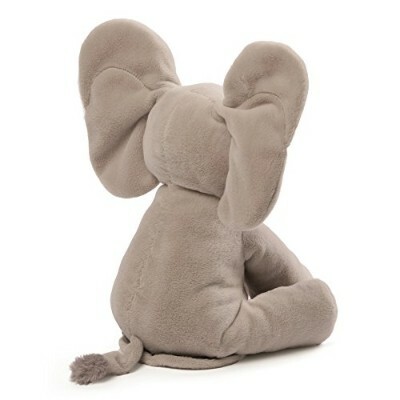 A wonderful toy that creates a distraction and diverts attention from parents T.V. remote. At the same time it is also an educational toy that encourages learning and allows for children to engage in constructive modeling. Instead of letting baby play with parent’s T.V. remote, they can have their own. 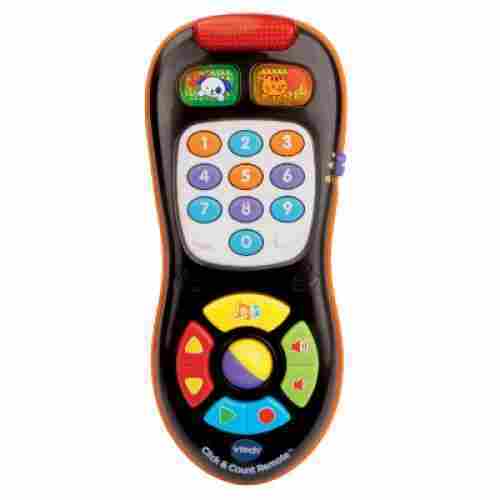 The Click & Count from VTech is a wonderful toy that is interactive and educational. They can mimic parents as everyone uses their remote to create actions. It has over 45 sing-along songs and sounds. 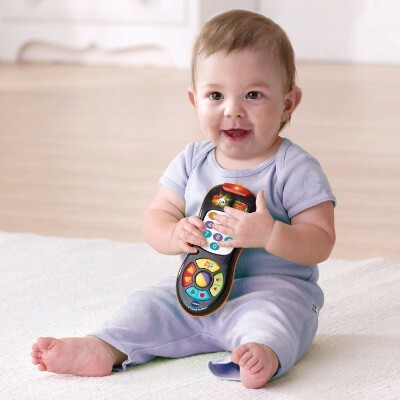 Kids can pretend to channel surf, especially when they hear “breaking news” come from their remote. Children enjoy imaginative fun while pushing colorful buttons that makes sounds and music. The volume control teaches children the idea of cause and effect. And the color buttons teach children about different songs, numbers and shapes. Animals are immensely interesting to babies, but many just aren’t really going to be making regular appearances in your living room. 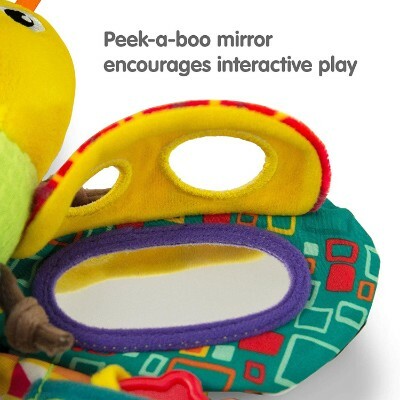 This product will entertain your baby and give them an awesome new peek-a-boo partner. 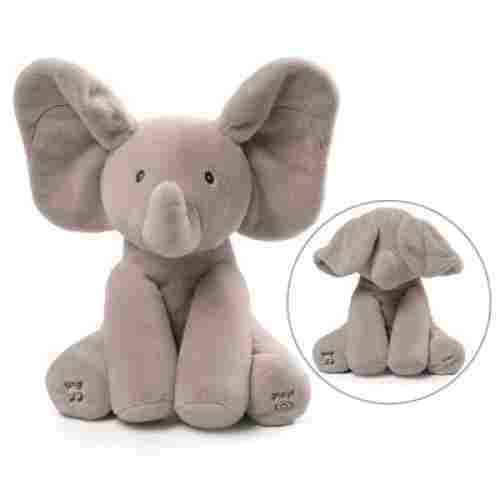 This awesome animated elephant from GUND helps get one of the giants of the savanna into your home, giving your baby a peek-a-boo partner and a snuggle buddy. 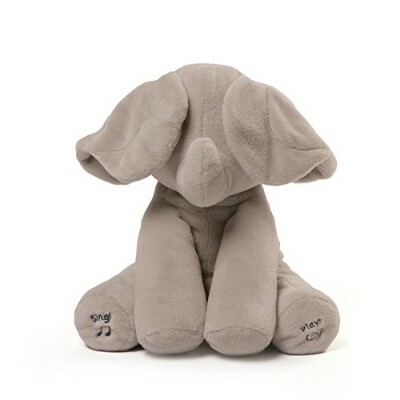 This elephant’s ears flap and she sings “Do Your Ears Hang Low?” for your baby. This toy offers your baby a simple and delightful form of entertainment while they are at play. They will learn the basics of peek-a-boo, and they will learn a new song in no time. Made of good quality plastic. It is BPA, PVC and phthalate free. Can be used to dry other household items like small coffee filters and jewelry. .The price is fair and not expensive. Not dishwasher safe. It is recommended that this unit be hand-washed with soap and warm water. Do not boil or sterilize. This fashionable twig allows more room for bigger items to dry on the grass drying rack, and it doesn’t take up too much space. 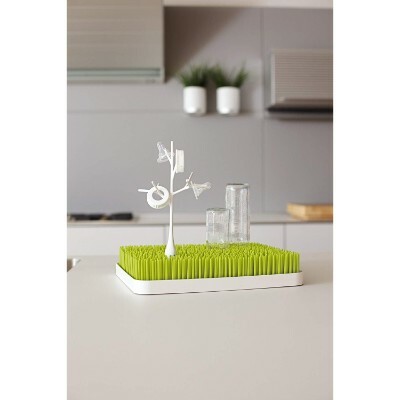 The twig grass drying rack is an add-on to the grass blades countertop drying rack. 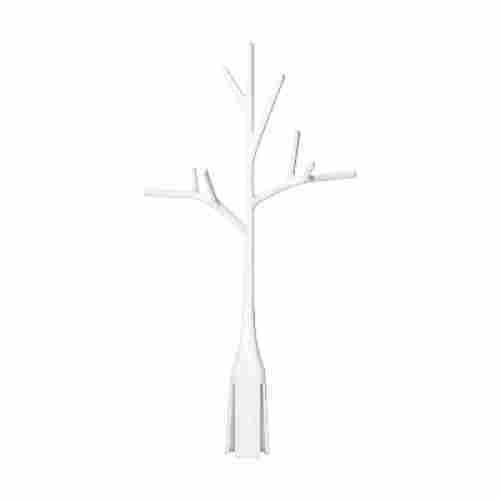 This plastic twig can hold small items like pacifiers to dry. No need to dry baby materials on paper towels, when using the twig. The unique design and high-quality materials means it’s safe to use and easy to clean. The twig allows for odd-shaped items like pacifiers to dry on the grass drying rack. 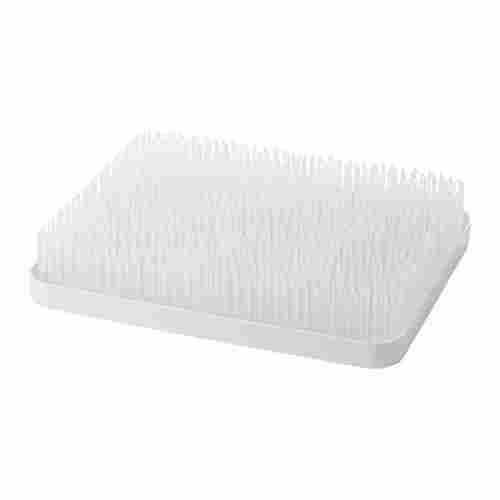 It does a great job of holding onto smaller items and can air dry them without leaving spots. The unit was made with good quality plastics. It is PVC, BPA and phthalate free. 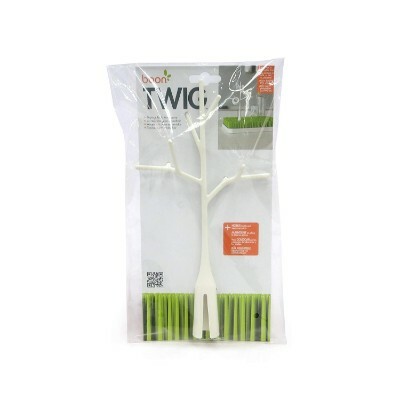 There is an additional twig add-on that is available online for purchase. It helps dry small items like pacifiers very well. Dry’s items quickly because the airflow comes from underneath the grass. Not dishwasher safe. It’s recommended that the lawn drying rack be washed in warm water before using it for the first time and periodically. It looks great on countertops and does a great job of keeping a diverse range of items dry because of its ingenious design. There are a lot of little parts when it comes to feeding a baby. The unique design of this drying rack is perfect for the job. This air-drying set can hold small items efficiently such as baby bottles, caps, pacifiers and pumping accessories. 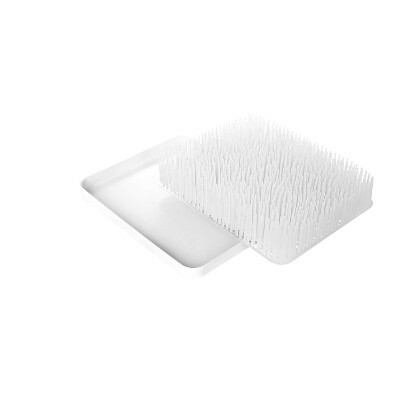 It's safe to use, easy to clean and looks great on countertops. The countertop drying rack is a unique and fun way to dry dishes, especially delicate baby bottles and its various pieces. The plastic grass blades hold recently washed baby items. It can hold items either vertically or horizontally of all shapes and sizes. There is a water catcher underneath the grass blades that allows for easy emptying. 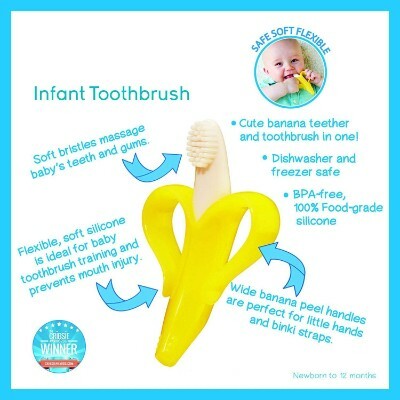 If you have a teething baby, you will definitely want to consider this product by Baby Banana. 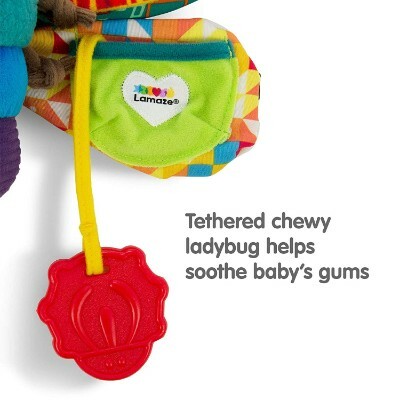 This product is a great way to keep your baby’s mouth cleaner and help them cope with the stresses of teething. 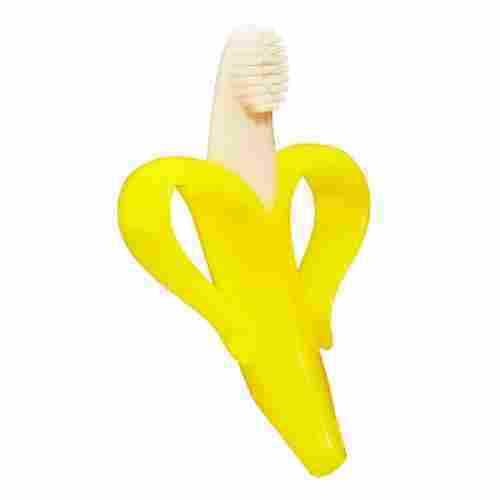 This soft teether has bristles at its tip, making this a training toothbrush for your baby as well as a way for them to cope with the discomfort of teething. They will get into good hygienic habits earlier with this great toy, and the dishwasher and freezer-ready design is convenient and easy to sanitize. 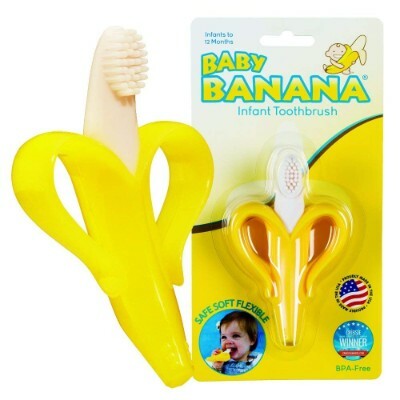 This product will not only help them deal with all the pain and discomfort that occurs during teething, but it will also help train them into better dental practices at a younger age. 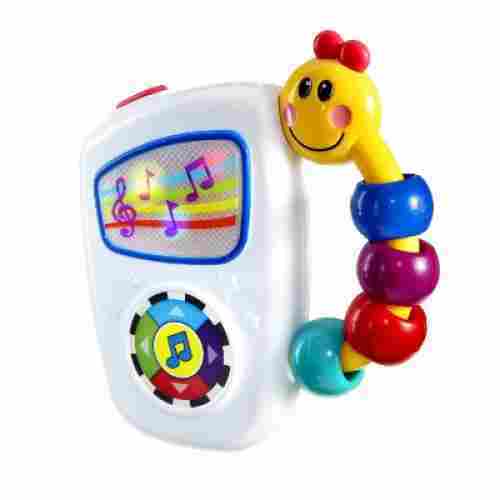 This product is a perfect way to begin the musical education of your child at a very early age, and the bright lights will keep them engaged and entertained for hours to come. The beads on the handle entice the child into manipulating them and improving their hand-eye coordination, and introducing your infant to classical music is always a great way to start their musical career. This game is a great way to begin teaching your baby all the classics, giving them a vibrant and engaging toy to carry with them as they learn some new tunes. This product is recommended for children above three months, and they will love to carry around this miniature music box for some time to come. This bear will be their favorite snuggle buddy for some time to come, and they’ll have a great peek-a-boo partner any time. Peek-a-boo is an engaging game for infants, and it is often one of the first games that their budding minds can comprehend and competently participate in. his animated toy bear from GUND is designed not only to serve as their first fuzzy friend, but also to teach them the basics of the classic game of peek-a-boo. This toy includes six different instructional phases that will help your child learn to play if they haven’t already, and the cute bear will engage them and serve as a great cuddle buddy when they’ve mastered the art of peek-a-boo. 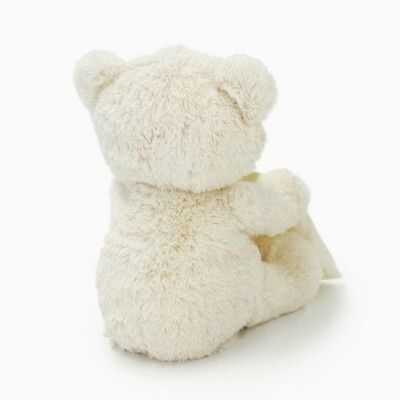 This bear will entertain them endlessly, and the soft, fuzzy, plush material will make this teddy their favorite to cuddle. The satin accented rim of the blanket will give them a pleasant tactile experience, and the washable surface will be easier for you to clean and maintain. This product is educational and contains a wide variety of entertaining and stimulating activities for your child. 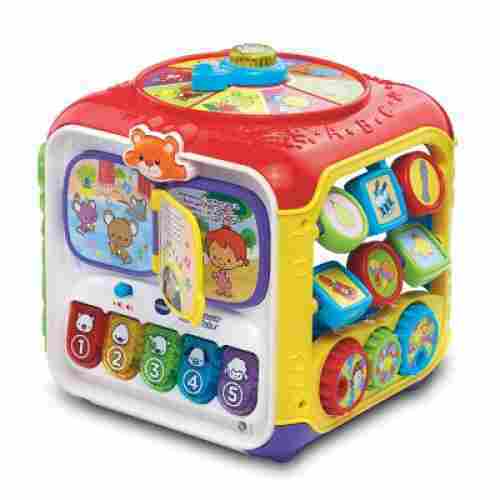 If you are looking for a wide array of puzzles and toys to keep your infant occupied and learning, this activity cube from Vtech may work perfect for you and your child. They can manipulate multiple widgets and knobs that will improve their hand-eye coordination and begin forming the rudiments of counting that they will nail down in the future. 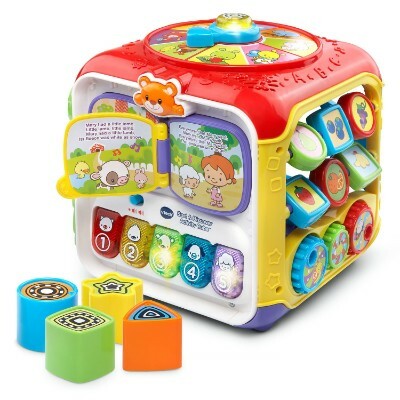 The cube includes seven fun and educational games that will give your infant a headstart on the path to learning. This fun and interactive activity cube will not only mesmerize and entertain your child, but it will also improve the motor and cognitive functions of your child. With a recommended age range between nine months and three years, this product also offers a long window of entertainment to your child as their mind develops. If you can already tell you have a little musician in the home, there is no instrument easier to pick up than the maracas. 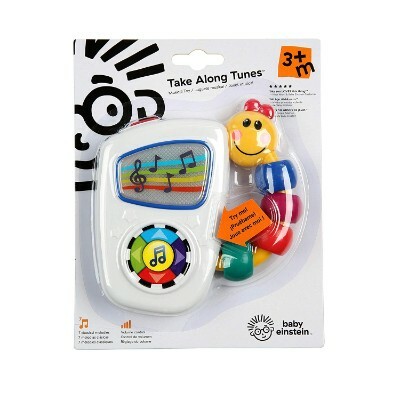 This product is great way to get your child started on a musical path. 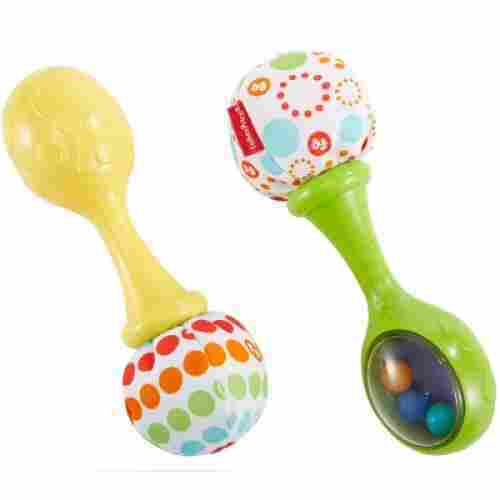 This maraca set is a great rattle toy option for your child, giving them a musical instrument made just for them. 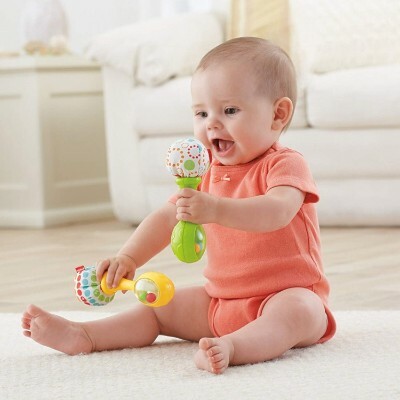 If you play music around the home, they will love to participate with their own maracas, even at very early ages. So, how did we in fact come up with our list of top gadgets to give to your baby? We mostly referred to our childhood, but we also took in a lengthy list of criteria and things to consider when it came to your baby. We tasked our researchers to carefully examine all infant products in the market today and determine which ones should be included in our list. We made sure that every gadget on our items are 100% safe, first and foremost, meaning that they must not contain any harmful chemicals and that their construction should be sturdy and 100% reliable. Additionally, babies have a knack for putting their hands in their mouths, including objects that they hold in their hands, it’s crucial that infant products don’t contain extremely small components which babies could choke on. That would be utterly dangerous. This also means that we looked at how each gadget was constructed. While we of course can’t directly go to the company’s manufacturing facilities, we can assume that the level of quality that they put into each design and manufacture these products through certifications from reputable quality control organizations. We also had to consider any award or recognition which may have been given to either the company itself or the product that they manufacture. Toy companies and other organizations that design and manufacture baby and infant products are becoming more and more sensitive to the needs of infants and are especially cognizant of the increasing power and influence of today’s consumers. Before, companies dictated what consumers should buy for their children instead of dictating what companies should design and manufacture for children. They now do this so that it is developmentally appropriate and safe for kids, especially younger children. Developmental appropriateness doesn’t only refer to the inherent quality of a toy to help ensure the completion of the expected developmental tasks of a child at any given age. This also includes all other kids’ items as these eventually will have an impact as they progress later on in life. Technically, in order for any of these items or objects to be considered developmentally appropriate, they need to be able to help children enhance at least one of the following developmental areas.. Infants grow rapidly in the first year of life. Their birth weight gets doubled by age 6 months and tripled by the 12th. Additionally, they learn to control the different groups of muscles, first controlling the movements of their head and neck before progressing downwards. They then start rolling on their tummies to help strengthen their core muscles. By age 4 months, some babies can already sit while being supported by Mom or Dad. They then learn to pull themselves up to a standing position. Before you know it, they are already cruising around your house. This will also require the development of their proprioceptive senses, their visual and motor coordination, and, of course, their balance. Cognitive – The first year of life is dedicated to the accumulation of experiences through the use of the senses. The things that babies see, touch, smell, taste, and hear eventually serve the database upon which their brains will process and integrate into more meaningful concepts. As they grow older, their cognitive abilities also start to grow. By the 12th month, they will already have a rudimentary understanding of how certain things work. They can remember things and solve simple problems. Their curiosity grows and this helps in their cognitive development. Language – Even before babies start saying “Mama” or “Dada,” they are already building on their vocabulary by watching you talk and trying to make sense of the sounds they hear. This can be considered a part of cognitive development but child experts believe that it merits a developmental area of its own. Of course, developmental appropriateness is not only the parameter we have to consider in choosing items or objects for young infants. It is also crucial to look at the safety of these products. For example, we all know that babies love to reach for almost anything in their surroundings. As part of their gross-motor development, they will try to grasp an object with the whole hand instead of using only the thumb and forefinger. This is normal since their ability to control fine muscular contractions are not yet fully developed so they tend to rely mostly on larger muscle groups. This allows them to bring whatever is in their hands to the mouths. And if the object is small enough, babies might choke if they ingest these objects. This is why it is very important to choose baby items that don’t have small removable components. This is also the reason why it is best to provide infants with clothes that don’t require buttons or even are designed with small trinkets which babies can pull and put in their mouths. This also extends well into how we organize baby’s room. There should be no clutter so that our little ones will be barred from reaching these otherwise potentially-harmful objects. 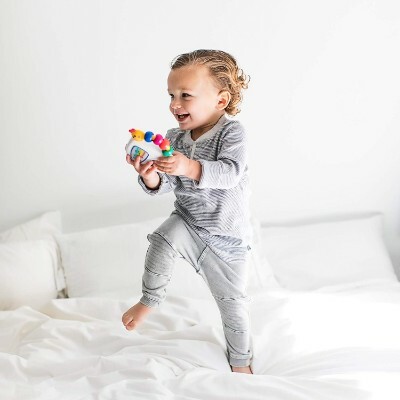 Gadgets, both then and now, help us better care for our babies whether it is to help them grow to their optimum development or to help provide a safe and comfortable environment for them. It is, therefore, up to us to be wise in our choice of the best gadgets to give our young children. With our top 25 baby gadgets, we are 100 percent confident you will be more inspired to choose one for your kid. Products in today’s world has redefined the way that children grow. However, the principles of child growth and their development remain the same. It’s only the instruments and tools that parents and caregivers can help ensure that their child's development and growth will change throughout the years. Last but not least, we took into consideration the voices coming from parents, caregivers and other consumers who have tried these products and reviewed them. We read every feedback from positive to negative if any, to create an impression above the overall acceptability and usefulness of the product. q: Are bottle warmers safe to use for breast milk? Yes, they are safe to use but use a good quality warmer. A bottle warmer can overheat breast milk and therefore cause it to lose nutritional and immunological benefits. 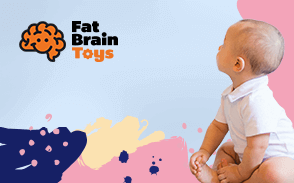 q: Are bright flashy toys beneficial for babies? Toys that talk too much, light up and sing songs are less beneficial than books or traditional toys. Flashy toys are not bad for babies, it is just recommended that they be kept to a minimum. It’s better to read and sing with your kids instead of solely relying on electronic toys to do the job for them. 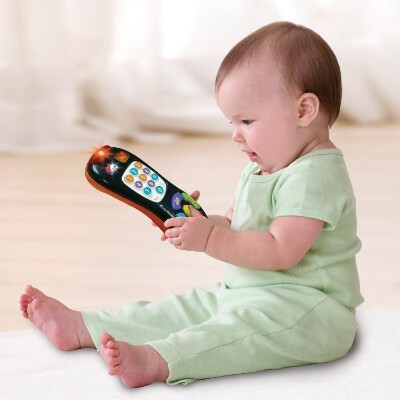 q: Are baby toy cell phones bad or good? Babies mimic what their parents do. If parents spend most of their time on their phone during meal times, babies will also mimic that behavior. Look at your baby while they play with their phone. Are they eating and trying to talk to others at the table or are they ignoring people to engage in pretend conversation with their phone? Can the baby put down the phone during meal time or not? When at the playground, are the parents engaged in their baby’s activities or are they more engaged with their cell phone? If parents model specific phone behaviors(good or bad), babies will likely follow suit. q: How to clean a baby nose? When babies noses are stuffy, it makes it harder to breathe, sleep and eat. Using a nasal bulb syringe is one of the better tools to use to clear the nostrils. If the mucus is too dry, there are nose sprays with saline that moisten and loosen mucus for easier discharge. q: How to keep a nasal bulb syringe sterile? Always clean a nasal bulb syringe before and after using it on baby. This can be done by squeezing the tip in soapy, warm water and then sucking some warm water into the bulb. Shake the soapy water that is in the bulb before squeezing it out. Repeat this step a few times then leave the unit tip side down to dry. q: Why make homemade baby food? Homemade baby food is more nutritious than store-bought baby food. Parents have more control over what goes into their baby’s food. Parents don’t put preservatives into their baby’s food and it saves money. Babies are also exposed to more flavors because store-bought baby food tends to be bland and unappetizing.